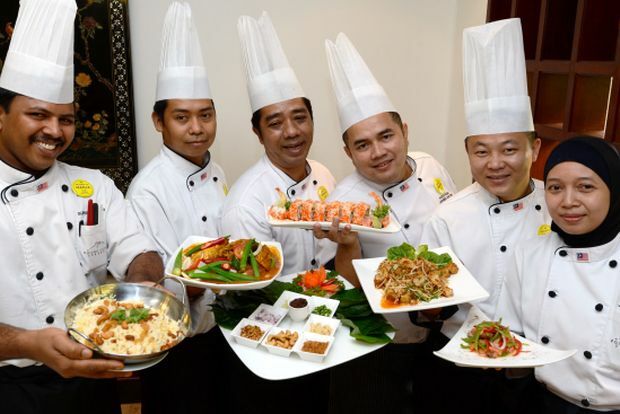 FOOD lovers are in for an exciting culinary journey as Holiday Villa Hotel and Suites Subang?s Makan Makan Fiesta taking place today. Back by popular demand, the Makan Makan Fiesta allows diners to whet their appetite with a wide range of culinary masterpieces from all over the world, taking them on a thrilling gastronomic adventure. The best part is diners will get to dine at not one, but three restaurants including Palm Terrace Coffeehouse, The Inn of Four Seasons and CIBO Ristorante Italiano at a modest price of RM60++ per adult and RM35++ per child. Different flavours of Japanese, Italian, Chinese, Asian Fusion and International cuisine will be served at the special one-day event. At a media tasting, we savoured the three combinations of Italian salad and appetiser, a Japanese sushi platter and an interesting Meang Kham Thai dish where its name can be interpreted as ?eating many things in one bite? as different core ingredients like, garlic, lime, roasted peanuts and dried shrimps are wrapped in cha plu, or rather betel nut leaves, and eaten in a bite. Next, we tasted the natural flavours of Chinese herbs from the Chi Kut Teh Soup filled with bite-size chicken pieces. 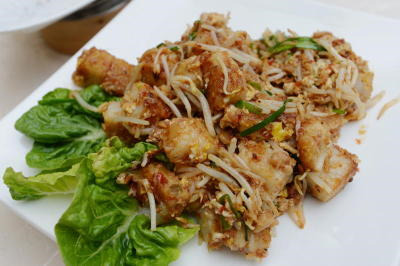 Savoury: The Chinese Fried Carrot Cake from The Inn of Four Seasons. Soups like Lala Miso and Szechuan Vegetable soups will also be served and for Western soup lovers, they can head to CIBO Ristorante Italiano for Minestrone or Mushroom soups complimented with a selection of Italian breads. Moving on to the main dishes, we were served an authentic mix of Indian Pulao Rice and Mutton Peratal, Malay Fish Head Curry, Thai Steamed Beancurd and Chinese Fried Carrot Cake. Other local dishes include the delectable Beef Rendang Tuk, Gulai Lemak Nangka Muda while favourites from Japan and China such as Deep Fried Boneless Chicken Katsui, Stir Fried Udon Noodles, Shanghai style Braised Yam with Chicken and Deep Fried Crispy Beancurd will also be offered among others. CIBO Ristorante Italiano also adds a Mediterranean goodness to the Fiesta with dishes like Italian Rice Confetti, Las-agna al Forno, Fish Fillet Diavolochio, Lamb Provencale among other dishes from Italy and France. And for the Fiesta?s sweet ending, delight in desserts like fresh local fruits, Bubur Kacang Durian, Cream Caramel, Sea Coconut with Ginseng, Mixed Fruits Compote, Crispy Pancake plus assorted French and Italian pastries. This is th writer’s personal observation and is not an endorsement by StarMetro.